Recently, Peter Leithart expressed in satire his deep misgivings about the practice of historical criticism. His bottom line seems to be that historical criticism of the Bible is a big, big, big mistake. He really, really, really doesn’t think much of it. Not much at all. I hope I’ve read Leithart accurately here. Truth be told, after several readings of his post, I was still not entirely sure where satire gave way to direct critique. But Leithart’s feelings about historical criticism are not hard to piece together. This is not the first time he has vented on the topic. His review of The Evolution of Adam (here) and The Bible Tells Me So (also in First Things), among others, struck the same tone. Historical criticism of the Bible takes many shapes and forms and utilizes various approaches, all of which are focused on interpreting scripture in its historical contexts in light of widely documented and undeniably relevant–what shall I call them?–facts, data, evidence–concerning antiquity. Also inescapably relevant are scientific advances, which include but are not limited to astrophysics, geology, and biology, but which Liethart also seems to judge in a negative light when applied to biblical interpretation. But historical criticism is embraced among Jews, Catholics, and Protestants–not because they are blinded by unbelief, lack theological sensitivity, or willy nilly cut themselves loose from their precritical moorings, but because historical criticism has tremendous explanatory power and has helped us understand the Bible and explain some nagging questions that have disturbed interpreters ever since there was a Bible. Yet Leithart seems to see past all this, wondering all the fuss is about. To be sure, historical criticism is not beyond criticism, not simply with respect to certain conclusions but also when it claims absolute “hegemony” (to borrow a frequent term of Walter Brueggemann and others), as it was prone to in the 19th and much of the 20th centuries. The historical criticism of today, however, is much more chastened by the postmodern critique of historical criticism’s biases and limitations. So to sound a note of distain and exasperation–even condescension–as Leithart does is out of place and rests on a caricature of what he sees as an outside observer of biblical studies. At any rate, what about Leithart’s post, entitled “The Abraham Myth”? Leithart’s concern is a familiar one that surfaces sooner or later whenever the mythic nature of Adam is on the table: if Adam is mythic, what is to keep the rest of Genesis from being mythic, too? His aim is to launch a counterattack on evangelical capitulation in allowing science and biblical studies to affect biblical interpretation. A fair topic of conversation, no doubt, but Leithart’s piece is hardly a constructive engagement of issues that most others would consider rather pressing–or at least worthy of a serious intellectual exchange. In that respect, rather than offering a solution, Leithart’s position exemplifies the perpetuation of the very problem that many others are trying to address: how can we engage compelling evidence rather than keeping it at arm’s length? I see in Leithart’s post three lines of attack against a positive answer to this question. First is the insinuation that historical criticism is chronological snobbery. It can be and has been, but historical criticism is not de facto guilty of chronological snobbery by claiming that relevant evidence affects how we understand the Bible. Engaging seriously with the Dead Sea Scrolls, Second Temple Judaism, or the vast amount of historical information from the ancient Near East and letting that engagement affect one’s interpretation of the Bible and therefore one’s theology is not chronological snobbery but responsible interpretation. It is chronological snobbery to ignore the data we have in favor of one’s preferences. Which brings me to a more important point: any and every hermeneutical strategy is legitimately open to the charge of “chronological snobbery.” Leithart’s included. Perhaps more so. The conservative Presbyterian denomination (PCA), with it’s mixture of Puritan Calvinism and 19th century Princeton theology, is the denomination that ordained Liethart and to which he is fully committed. When that paradigm, implicitly or explicitly, is elevated to the level of “proper” framework for biblical interpretation, chronological snobbery is alive and well. Any claim of hegemony for any theological tradition rooted any era, past or present–whether the early church, medieval Catholic theology, or any of the multitude of Protestant Reformation traditions–is “chronological snobbery.” The only difference is the time period in which one wishes to pitch his or her hermeneutical tent. To be clear, I am not remotely suggesting that the modern period is “best”–even if it does answer many questions in a compelling manner–and we can safely ignore the past! I really do aim at a “broad orthodoxy”–by which I mean listening to the voices of the past and present to discern our theology. Which is precisely my point. Leithart can no more demonize the present as historical critics can demonize the past. This isn’t about an either/or choice, but exercising learned and wise discernment, bringing various horizons into conversation. So when people conclude that the Adam story is not historical, that conclusion may come as a result of lengthy deliberation, being swayed by the need to consider all factors before us. We actually have no choice but to engage constructively the period we are in. Neither Leithart nor anyone else can do theology as if the modern world never happened. Slippery slope arguments–at least when phrased this way–are unbecoming of learned discourse. Their use suggests a failure to appreciate details and subtleties of previous discussions. For one thing, to label as “myth” the type of reading of the Abraham narrative that Leithart takes issue with is the wrong designation and obscures matters. Even though the literary styles of Genesis 12 and chapters 1-11 are consistent with each other, thus suggesting one narrative, their content is quite different, which is why biblical scholars don’t call the Abraham story “myth” but something else–like legend or political propaganda. In other words, what holds for the Adam story may or may not hold for the Abraham story. Whatever term is used, however, the Abraham story does indeed signal that there is some value in reading the story from right to left, as it were, and not simply with left to right naiveté. The preview of the exodus in Abraham’s journey to Egypt in Genesis 12:10-20 (which Leithart mentions) invites careful deliberation, i.e., whether a later period in Israel’s history has shaped its telling of its earlier history. The same for Abraham’s “eternal” covenant (Genesis 17:7) which echoes David’s “eternal” covenant in 2 Samuel 7:29. Other factors (patiently laid out by Rendsburg) also raise reasonable questions about what it means to read the Abraham story and Genesis as a whole with literary sensitivity and to draw from it historical conclusions (which, of course, are open to revision). Third, co-opting the Abraham story is a bit of a scare tactic–agan, the slippery slope. But Leithart is asking the wrong question. For the sake of argument, let’s concede to Leithart’s view, that if Adam falls to the level of a-historical story, so might Abraham. But that does not address the very problems that have led to a-historical readings of the Adam story: evolutionary biology, cultural anthropology, and ANE archaeology. If Leithart wishes to persuade, he will have to do better than warning us of chronological snobbery and the slippery-slope. He would have to render a compelling argument for why these evidences can and must be ignored in the interpretation of scripture. We’re not just riffing here. We know things today that affect our expectations of the kind of information the Bible is prepared to deliver. Some of us feel we need to address them. Leithart is content to dismiss them. A few years ago I was on panel with Walter Brueggemann, where he was lamenting that historical criticism has proven in and of itself insufficient for the church. But Brueggemann would never say historical criticism was wrong or a bad idea. It was, as Walter Wink put it, the “acid bath” that relieved of us the burden of literalism. I agree with Brueggemann on both counts, but I also challenged him a bit on this point. Brueggemann’s audience is the mainline church, which is in a reconstructive period in the wake of historical criticism–to work through how the ancient faith speaks through scripture today. The conservative American church, which Leithart here amply represents, has not gone through the acid bath, but held it at arm’s length, done an end around, or engaged it in piecemeal fashion in an effort to protect precritical dogma. This failure to engage has placed the conservative church in an entirely in-house, self-referential monologue. Leithart perpetuates this problem in spades. Simply put, he is advocating a precritical, premodern reading of scripture, one that wishes that the last several hundred years had never happened–and to go about as if they didn’t and urging others to follow. Leithart is an intelligent and educated man. He also offers stimulating and creative (I would call them midrashic) readings of biblical texts that benefit many. But he has a blind spot–nay, a bee in his bonnet–regarding historical criticism, which is a shame, and he needs to get past it. He doesn’t need to embrace it. Just concede that it makes some good points that can’t be ignored–though I fear I am asking too much of him. The simple fact is that historical criticism isn’t going anywhere because in some form it is deeply persuasive and cuts across most ideological boundaries on many issues–Adam and Abraham among them. Leithart is welcome to join that conversation, but he seems to prefer pronouncing casual judgment. And that is snobbery of another sort. let's talk about sexual purity and evangelical anxiety, shall we? Slippery indeed! On a more serious note, there are certain quarters where historical criticism comes off as scientific materialism in drag, where a Kantian universe is uncritically assumed as bedrock for criticism. Can theology set the space for historical criticism (not in a WTS sort of way 😉 but in a way where criticism in itself is an act of faith)? I have to ask, but what do you mean by a Kantian universe? Kant is no scientific materialist. On your other note, I think that a reading of the Gospels shows that Jesus is quite critical of the interpretations of Scripture of his time that led to a religiosity that was not based upon loving God and loving others. His main critiques are leveled at the “religious leaders” and “Pharisees” of his time for their perpetuation of a religiosity that put some above others. Being critical seems to be part and parcel of what it means to follow Jesus. Yes, Kant was no scientific materialist, which is why I used the language “in drag”. Once the Kantianism in much of today’s scholarship is recognized and acknowledged, there is the question as to if it can be sustainable. I think Kent Sparks’ God’s Word in Human Words was an attempt along the lines of what you describe. This is the same Peter Leithart that has written so much about the relationship of the gospel to Empire? I had no idea he felt this way. I would have guessed from his writings that he depended on and was appreciative of the data historical criticism has brought to the way we look at some of these texts. Maybe he has to climb into Sanders’ lap to slap him in the face. Moving to the broader evangelical views of historical criticism, I think it’s interesting that, “If you say Adam might not be literal history, then you have to ask the same questions about X” counts as a critique. Yes, we do have to ask the same questions about X. We should be asking the same questions about X and seeing what happens. What extra-biblical assumptions does one bring to the Scriptures such that this point counts as an automatic criticism? Yes, we do have to ask the same questions about X. We should be asking the same questions about X and seeing what happens. So… was Jesus naive when he referred to Able as an historical character in Matthew 23:35? If Jesus referred to Able in Matthew 23:35, God help him in a spelling bee. Lest Jesus be incriminated of speaking untruth, I confess, the typo is my error. Mar 2:26 — How he went into the house of God in the days of Abiathar the high priest, and did eat the shewbread, which is not lawful to eat but for the priests, and gave also to them which were with him? Was Abiathar known as a high priest? Did the event occur when Abiathar was alive? Was Abiathar an historical character or something other because we cannot trust the plain reading of the Bible? Not to interfere here, but Bill, I think you’d be hard pressed to find a trained biblical scholar, including very conservative ones, that will not admit to some rather obvious historical problems in the Gospels. True Pete, but how does one bring that up with most Christian pastors, family, and friends? I’d be comfortable talking about the Bible with your trained Biblical scholar, but he doesn’t exist in my daily life and what does exist instead is Evangelical Christians. I silently dismiss these folks in my real life. It’s most everybody in my family. I had read a boat load on the Bible over the years which has resulted in me keeping absolute silence about it with Christians, other than a blog or two. Listen to them about their beliefs and hopes and fears (and fears). Don’t talk to them about their faith or out their faith relates to Christian faiths. And certainly don’t talk to them about your own beliefs. It’s all rather inter-personally dissatisfying, but this is where I’ve been a long time. That Leithart can even try to use satire indicates there’s at least some hope beyond rudimentary communications concerning matters of faith. Gary, the best I can tell you is that there are those of us out here who feel the same way. My wife and I, now reading The Bible Tells Me So, feel like we can have very honest and open conversations about things that in the past we just ignore and brush aside. I definitely recommend reading Pete’s book, it was eye-opening. But also, I want to let you know that there are a lot of us out here – who read things and scratch our heads. And I feel a deep and abiding faith in my savior – but have always felt that the Bible didn’t necessarily get everything “factual” down to the minute details, and that much of the bible was allegory, stories, or “propaganda”. I’ve read this book and one other by Dr Enns. I used to read a lot. Over the years I’ve read hundreds of books on Christianity–mostly either academic or by academic popularizers. These caused me to scratch my head. And want to talk to people, in open conversations as you describe. I discovered that most people don’t seem to want to talk to people about these head scratchings. So, over time, I stopped talking to people–at least in real life. I’m now in the process of stopping talking to people online, and, from there, simply giving less and less (and hopefully no amount of in time) thought to those head scratchers. Hopefully in a few years I’ll be a quiet None with no more thoughts of those books. Hi Gary, please … don’t leave …. as Fred said lots of head scratching and listening and talking together here. If you live, move, and have your being in a culture of biblical inerrancy, right down to historical detail, you’re correct — you’re screwed. The whole hermeneutic has to be challenged — without the shaming, stigmatising, marginalising and shunning — the quite un-Jesus-like behaviours — that seem to be the inexorable fearful reaction to honest pilgrims who raise the-emperor-has-no-clothes kinds of questions in their own American conservative evangelical communities. Pastoral leadership that encourages an interrogative faith is obviously crucial, because the ichthus rots from the head down. 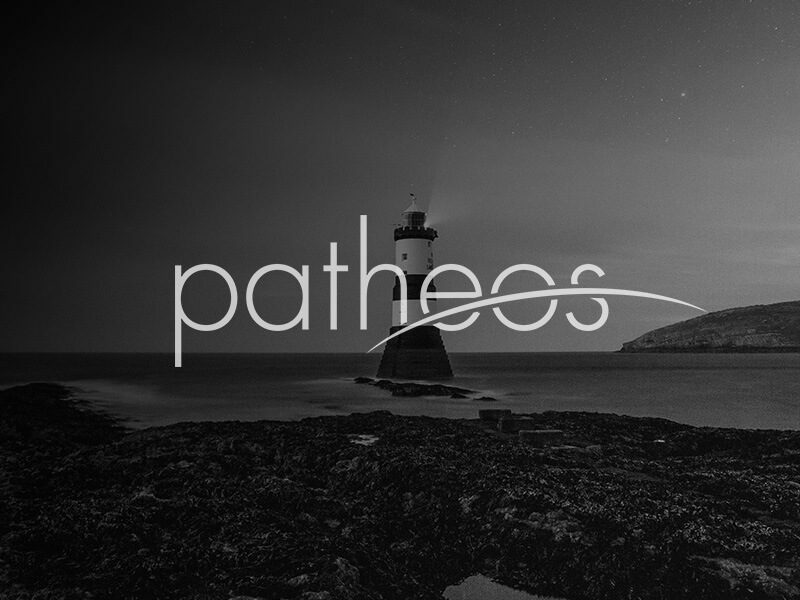 But insofar as it is not forthcoming, little hermeneutical revolutions may yet erupt from the bottom up, which, however require not only lay theological literacy — which this blog is at the forefront of providing — but also the courage, patience, and endurance which only the Holy Spirit can impart. From what I’ve heard over the decades, that’s not really what the Holy Spirit is into. Before believing that the Holy Spirit’s work is as limited as your statement seems to indicate, please consult a few other teachers. One of the best on the topic was the late Clark Pinnock, and his book “The Flame of Love: A Theology of the Holy Spirit” is the place to start. The reviews on Amazon are quite good. You will, however, find people in conservative circles who say all manner of things about Pinnock. Judging from their comments years ago, some may still have a picket up at the Pearly Gates to deny him passage. Ignore them. 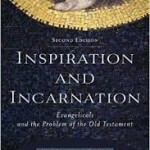 The book is wonderful and will broaden just about anyone’s thinking re what the Holy Spirit might be capable of. My comment was a bit tongue in cheek. Pretty much anything can get attributed to the Holy Spirit. Have you read Pinnock’s book? I’ve not. I don’t read much anymore. Peter, as you can tell, I am not a biblical scholar. Thank you – by the way – for putting up with my lack of training, and also my lack of manners. But as I become more acquainted with the topics of conversation here, it seems to me that the biblical scholars that find “problems” in the Biblical text are those that hold the presupposition that the scriptures cannot be trusted. Those that hold the presupposition that the scriptures can be trusted seem to find reasonable explanations for the so-called problems or resign themselves that a probable or true explanation just hasn’t been revealed to us, yet we can still trust the text. It also seems to me that those with the presupposition that the scriptures cannot be trusted criticize the other side for holding on to their presuppositions and not having an open mind. But if their presuppositions handle the so-called problems better than yours, why do you keep telling them they must change? But now I am curious what you think the biggest historical problem is in the Gospels. I appreciate your response, Bill! One point to bring out here is that finding “problems” in the Gospels isn’t a invention of modern biblical scholars. It goes back to the very early time of the church, the 2nd century. They weren’t looking to make problems–they just are there. I’m not sure I have a biggest historical problem in the Gospels, but but the birth narratives are up there. His point was that God made time for us in two ways, but I couldn’t help but think: If Jesus is also the Lord of the Sabbath, and the sabbath was time God made for us when He gave the ten commandments, and based it on the seventh day when He ended his work, do you see the sabbath being based on an historical event that even preceded Abel, or is Jesus not really Lord of the Sabbath, because there really wasn’t an historical sabbath upon which the law was based? Was Jesus teaching literal truth when he said the mustard seed was the smallest in the earth? (It’s not even the smallest in Palestine). Or was he teaching THEM with what was familiar to them? But even if Jesus did think Abel actually existed, so what? That is a major problem in conservative theology, the idea that Jesus must have been completely omniscient and never been wrong about anything. Which makes the Incarnation into a facade, Jesus isn’t “really” human, he’s just a divine being temporarily taking on a flesh and blood costume. What is fascinating about Leithart’s post is the number of commentators who showed themselves unable to read his post as he (presumably) intended. So the whole exercise is a bit of an own goal? Aren’t these the people that tell me Jesus rose from the dead and that I can go to heaven when I die rather than burn in Hell? Tomorrow’s Sunday. I’ll be going to Bud’s Burgers and join everybody in singing the latest commercial’s jingle. Grin and nod. Grin and nod. Gary, I’m sorry you’re in this situation my friend. It seems to be greatly troubling you. IMO, what your congregation adheres to is not the issue; you’re not going to single handily convert a conservative church to something more moderate. But it does matter that your wife/immediate family respect and be open to your views/perspective. That chasm needs to be filled so you all can go somewhere else on Sundays. More than troubling–I’m tired. The respect of which you mention was a hope now almost a decade ago. Respecting others’ view–no matter how considered or gently articulated–simply isn’t Evangelical ethos. If this is all satire, Leithart shows he fully understands and can effectively articulate the ‘threats’ from realism as perceived by those who might wish it would all just go away – just scan the comments at First Things. But there is no engagement with the issues, in fact, this could be taken as saying engagement is not worthwhile, even dangerous. Smoke, mirrors, displacement activity, red meat whatever, but not engagement. I think you neglect that historical criticism within the Catholic Church has largely been criticized until rather recently, and even now, caution is still urged by the Catholic Church. I would go with the third, “evidence”, that you provide because all we really have is “evidence”. I can see Leithart’s issues with historical criticism as well as I am also from a church which embraces a more ecclesiastical authority as well. I’m struggling to find much of a place for historical criticism and how exactly that can help the church (all of them) forward. Sometimes, paying too much attention to the historical context can turn an otherwise meaningful sermon into something totally boring. I remember one Hebrew professor of mine talking about how one of his friends was instructed to give a sermon on the Gospels and he decided to go all into that “Q-source” stuff in his sermon. Apparently, his congregation was unmoved. There is a place for historical criticism, I’m certain. Is it within the churches and the preaching of the Gospel? This I doubt. I generally agree that historical criticism doesn’t have a direct place in preaching the Gospel. If someone in the pulpit began to explain in detail the differences between Elowhistic and Priestly literature, I might begin to wonder what they thought church was for. On the other hand, I think historical criticism can help us with our overarching framework that does impact what we do end up saying in our churches and it has perhaps the unintentional effect of critiquing anti-Semitic readings of Scripture. For instance, the American version of the Gospel has a tendency to be hyper-individualistic and starts and stops with the destiny of the individual soul. Historical criticism has been invaluable in opening up the story to something much closer to first century expectations regarding kingdom and the destiny of the people of God as a group. So, I think historical criticism’s value to the church is more hermeneutical than supplying actual new content, per se. I would agree that the American version of the Gospel is highly individualistic but I’m not certain historical criticism can be credited with leading us away from this as, historically, the church has never read the Gospel like that. With respect to the anti-semitic readings, I’ve seen some stuff in the field of Biblical scholarship that uses historical criticism to accuse the Bible of being anti-semitic to the core. Paula Frederiksen’s book on the historical Jesus, From Jesus to Christ, to name one. Regardless, NES, H-C isn’t going anywhere and it has to be engaged and not dismissed–esp. since much of H-C has actually been embraced. Anti-Semitism comes from people, not methods. Fredericksen is thoroughly historical-criticalin her critique of anti-semitism. I’m not disputing either of your statements there. I was responding to Phil’s comment which seemed to present historical criticism as the “saviour” of the day. Though one of my professor’s actually complemented me on my own critique of Frederiksen’s portrayal of John 8 as being anti-semitic as the context shows Jesus dialoguing with the Pharisees, not the entire Jewish population, and it is their father, not the Jews’ father, who is the Devil. I am not disputing that one should engage with historical criticism either. I am simply saying that historical criticism is not the same as the Gospel and often times gets in the way of the Gospel. Basic precautionaries when playing with fire. I was not intending on presenting it as the “saviour” of the day. I was trying to agree with you with a qualification. I’m sorry if I was unclear on that. I would disagree that historically the church has never read the Gospel like that. I would agree that the Eastern church hasn’t really gone that direction, but the whole “where does the individual soul go when they die” theme dominated the West pretty early on. I think the interpretation of rampant individualism is more a Protestant thing and as I don’t identify as a Protestant (albeit being Anglican–High Anglicans generally don’t view themselves as Protestants but as carrying the Catholic tradition the English Church began with), this might be where our understandings of how the Church has historically interpreted the Bible differ. I would like to know though a western pre-Protestant theologian you can point me to though that has understood the Gospel as presenting individual salvation. That would be difficult to find though as they were all highly in favor of the Church’s authority and influence. Maybe Wycliffe? You might be misunderstanding me. I’m not saying that the Church has largely believed an individual was responsible for their individual salvation, but rather that the Gospel is predominantly about individual salvation. That’s just a very short Google sweep. My two cents. I think with Lutherism the idea that salvation was between the individual and God, not the church, has created a highly individualistic culture, to the detriment of the corporeality of society. Not that the idea per se is wrong, but it’s not complete or right. It misses out the corporeality of life. If you’re a Lutheran, you’re a Lutheran, not a Christian, If you’re a Calvanist you’re a Calvanist, not a Christian. I don’t particularly like the Term Christian. Who do you follow? Luther, Calvin, Jesus? I think you’re right about that, but even before Luther, the very concept of what salvation is was centered around the destiny of the individual. My feeling is that Luther, etc. highlighted the point that salvation was between God and the individual, rightly challenging the church’s role in salvation. However an unintended consequence is the rise of “self centred” individualism which I think makes it harder in Western societies to see oneself as part of the larger “community”, with obligations beyond ourselves. I’m now a little bit confused. You told me that the idea of “where does the individual soul go when it dies” is more of a western idea than an eastern one and yet as a way of showing me that the Church has held this idea to some extent, you show me eastern fathers’ writings??? I’m not entirely certain I track any more on what you mean by “individualistic focus”. All I am saying is that the Church has not made an individualistic focus. There is emphasis on the individual’s part within the group, this is true, but the Church has viewed itself as a collective body, not as “I’m one who will go to Heaven”. Even within a team, there is something that individuals have to do but they have the help of their teammates. For instance, in regards to Clement of Alexandria’s quotes, I do not see this as individualistic or as the individual being the sole responsible one for his salvation. That is a complete surrender of the individual asking for the Father’s help in blotting them out. As for the others, I wholly agree with those quotes. This has always been the historic orthodox beliefs of the Church. However, there is a huge sense of Church community involved. One is not a Christian by themselves (something which, ironically, a lot of liberal Christians think–and they use modern Biblical scholarship to “prove” this heresy). One is a Christian only in the body of Christ. I think had the Protestants maintained to the doctrine of theosis–the hope for deification of man’s essence that St. Maximus talks about–they would have seen that when St. Paul described the Church as the body of Christ, he really meant that the Church is a divine institution of people transforming from humanity into divinity–or rather becoming even more human than before. That said, I think you are misunderstanding St. Maximus’s quote–I do not think St. Maximus is referring to a single man as that would contradict years and years of Church teaching that no one can be a Christian alone (something that was never accepted in the Church), he is talking about the whole of humanity. Well, like I said, it was like a five minute Google sweep. I wasn’t trying to put together a case because I’m not trying to win an argument. Your three question marks really made your objection come alive, though. Becoming a member of the body of Christ entering into a transforming process called theosis in fear and trembling. You’re not doing your argument any favors by engaging in such hyperbolic bombast. “anti-semitic to its core?” . . most of the Bible is the Hebrew Scriptures! What Fredrickson argues is that some of the Gospels and other parts of the NT have supersessionist tendencies which in turns fosters anti-semitism. Which is pretty indisputable. From the mid 2nd century onward the Church was often viciously anti-Jewish. What I meant was the NT and the Gospels. The Church has been about as viciously anti-Jewish as the Jews have been viciously anti-Semitic. This was a process of identifying what Christianity was and what Judaism was. There is plenty of bad blood between the two and this is largely indisputed though the Jewish bad blood against the Christians largely gets dismissed in favor of highlighting how “sinister” the Christians were. We need to acknowledge that both groups have had plenty of bad blood between the two if we want to accurately study the developments of the two religions. Note that anti-Semitic history has largely been shaped by representing Judaism as if it is some sort of “race” which totally neglects that the Christian anti-“Semitists” have understood Judaism in terms of a religious context. Judaism vs. Paganism. Semitic is also quite distorted by many historians of anti-Semitism as Semitic actually refers to Arabs, Hebrews, Aramaics, and all sharing that culture. Yes, the Church has been anti-Jewish in terms of its theology and this is indisputable as it became a huge part in identifying itself apart from Judaism and Paganism at the time. However, racially is quite a different story. Remember, many of Christianity’s first converts were former Jews (in terms of religion–St. Paul considered himself a Jew). I almost didn’t approve this comment, NES–for your sake. Historical studies can be quite cruel at times. I’ll be certain to mention the Cathar heresy and their own anti-Old Testament Gnosticism. B) The Church was opposed to Jewish theology but has not been opposed to them racially. Yes. Basically. Thanks for getting that clarified. And I by no means am trying to say that Christians have no history of anti-Judaism that hasn’t reached the boiling point either. The Spanish Inquisition, while it went after more than Jews and is certainly much less severe than recent politicization has had it, still performed a rather good job in eliminating suspected Conversos (although they were probably not actually converted Jews) who still practiced Jewish traditions. The Portuguese Inquisition being worse as it essentially said Jews were Christians so it could go after them as heretics. But again, as one looks at the history of anti-Judaism within Christianity, most of the Christians who have made statements against the Jews do so for theological as opposed to ethnic reasons. For instance, St. Athanasius’s “On the Incarnation” contains some rather harsh pronouncements on the Jews for their denial that God became a man and considers them unbelievers. But this was actually not because Jews were singled out. The Church has actually made harsh pronouncements on any heretic who denied the Church’s theology. I think an honest assessment of the historical data would yield this about Christianity’s views on Judaism. Throughout Christian history, you can find examples like this of theological differences turning into wholesale condemnations. Some Christian leaders accused them of being possessed by impure spirits. Cyril, in particular, called them a “low race”. This long history finds its expression in Martin Luther’s *On the Jews and Their Lies* which is a clear connecting point between Christian and modern antisemitism. Did I mention the fate of the Jews in Germany and France during the Crusades? In my defense, the Jews have also done unimaginable things to Christians–take the persecution of St. Steven in the Acts of the Apostles. I am not saying Christians are entirely innocent, however, I do believe that my position on the issue of anti-semitism and the conflicts between Jews and Christians is irrefutable. If you are a sane person without political or religious bias, you will definitely see eye-to-eye with me on the issue of the history. Does modern anti-semitism have roots in Christianity? My position on this is also irrefutable–the answer is NO! The reason being is that Christian hatred of Judaism is entirely RELIGIOUS! Regarding Jews being possessed–the Christians said that about EVERYONE who disagreed with them theologically. You isolate just their treatment and statements on the Jews here in this. Have you read St. John Chrysostom’s assessments of heretics and pagans? Did I mention the fate of the Muslims and heretics during the crusades? The crusades were a series of religious wars waged to spread the faith of Catholicism. Any non-biased assessment of the crusades yields this. Were they about anti-semitism or about spreading the religion of Catholicism, hence, Jews were also slaughtered along with heretics and Muslims, etc.? The second is the accurate statement. The only thing I can state to the defense of your statement is … That’s because there’s nothing to defend your statement. All of the historical evidence points in MY favor in this argument. IFF you are a reasonable person, we will see eye-to-eye. As the roots of the modern form are based on ethnicity as opposed to theological reasons, it is also unmerited and a fiction to state the roots of the modern form are based in Christianity. This is the position that I believe needs to be refuted as it is a blatant and egregious lie. Lets look at WWII as well. Pope Pius XII was a highly theological anti-semitist. However, during WWII, he condemned the racism of Nazism and even was responsible for helping quite a few Jews. Some Jews today say he didn’t help enough. Evidence of the way the Papacy was at the time shows that there was no other way Pope Pius XII could have helped any more than he did. As the Papacy was not permitted to serve in state fairs, it was required to stay neutral during WWII. Pius XII did all he could to save Jewish lives even though he was a rather dogmatic anti-semitist theologically. Thus, we have a firm distinction between modern anti-semitism and Christian traditional anti-semitism. While one is based on ethnicity, the other is based on theology. This is something that propagandizers like to flaunt and is a position that needs to be soundly refuted. I trust you are a sane and reasonable person and after reading and considering what I have presented here will agree with me. If not, then you are neither sane nor reasonable but are simply just a propagandizer who has no basis in reality whatsoever. Again, while you isolate the Christian theological hatred of Jews and while many do the same, this is not sound scholarship. If you say that the Christians are Hitler-like because of their theological attitude toward the Jews then you have no basis in reality whatsoever as you have simply isolated a few texts where they denounce and pronounce harsh judgments on the Jews. Look at their harsh pronouncements on pagans, heretics, etc. You will see quite plainly the truth that I say that modern anti-semitism=racial and Christian traditional anti-semitism=purely theological. This is incidentally a radical distinction between my position and your position. You state, rather ironically, “The only thing I can say in your defense is that there are some differences between modern anti-semitism and Christian anti-Semitism” while in actuality, my position is defensible and yours is not. I’m glad though that we now agree after you’ve seen the errors of your position. If not, I’m going to have to dismiss you as someone who’s realities exist in another universe. re; Acts, you mean SOME Jews, not THE Jews. Plus, Stephen was a Jew.”Christian” is anachronistic and to juxtapose Jew and Christian like this is to suggest that Jews who followed Jesus stopped being Jews. Virtually equates Christian with Gentile in the 1st century. Thanks for the response Peter. I read it and will respond soon. I feel your post perpetuates the same difficulties I am trying to address in my post. I’d have to say that I’m very concerned about the definition of “Christian” in Leithart’s response above (para 18). Which I think unveils much of the great subtext here. By setting a narrow definition of “Christian” as one who has to accept the “historicity” of the biblical narrative, he seems clearly to be stating that those of us who do not follow this view cannot be “Christian”. By stating, or at least implying that Pete (Enns) clearly misunderstands Christianity I think we can really see where Leithart’s coming from. This evening the curate of my church once again pointed out my well known prejudice against “American Christians”. Maybe I need to just forget about it and write this sort of “American Christianity” off for what it really appears to be, a narrow and exclusive cult. At least by living in the UK I can breathe the air of relative freedom, get on with following the risen Jesus and feel sympathy for my poor brothers and sisters “across the pond”. But Christianity IS narrow. Or to put in into a historical sense, the doctrines of the Church, if they are to be constructive – to build and accumulate, that is, progress – must constrict. The only way in which the opposite can occur, in which thought is shed, is to reverse and abandon theological progress (in good sense or bad) as heretical or superstitious accumulation (i.e. what the Protestants did). Under the old way open and honest debate on this subject would not even be permitted. The romanticization of the pre-Enlightenment era by many current Conservative “intellectuals” is ridiculous; stones from glass houses. Well, I have to be fair, all I have to go on for what you think is two measly sentences, which can hardly reveal to me the nuances of your thought. So if I speak as one unknowing, I beg your forgiveness. After reading both Leithart’s original post and this response, Enns has obviously whiffed. Leithart is not dismissing HC, just pointing out its boundaries/limitations. Enns wants wider boundaries (if any) and Leithart is putting up signs that say “Cliff here!” Enns is responding to a fundamentalist caricature, one I’m sure has provoked his ire, and exaggerated Leithart’s critique unhelpfully. Unfortunately Leithart’s put the “cliff here” sign in an open field. The cliff is actually waaaay over there. I agree completely. Besides, inerrancy presents just as much of a danger as poor uses of HC. Why isn’t Leithart constructing “cliff here” signs when it comes to inerrancy? Oh, wait, it’s inerrantists who are paying for Leithart’s lunch these days. There’s a reason the “acid bath” has been avoided — those of us from traditions who have looked at this method and said “Thanks, but no,” have seen the faith of far too many left skeletonized by it to be fool enough to step in, no matter how many teeth clack “But the water’s fine!! !” at us. Using history to inform readings? No problem. Grammatical-Historical does that just dandy. Textual criticism is greatly useful. But using historical assumptions or inventions that look to fit the data (real or conjectured) in hand for the purpose of exegesis and preaching? That leads wherever the reader wants it to go; that which has been handed down no longer matters, because we can rewrite, rework, or reimagine it any way we like. Things that are true? Needed & Necessary. Things that are supposed? Nice to talk about, but nothing to build one’s hope on. The grammatico-historical method is ironically very ahistorical. I can’t tell you how many dispensationalists I’ve heard defend their literalist hermeneutic and futurist eschatology on the grounds of the grammatico-historical method. It sounds all right in theory, but in practice, most exponents of the GH method I hear from are neither very well acquainted with the languages or the history. I’m not sure that I understand what you’re saying here. Are you admitting that inerrancy and the use of the grammatical-historical method are something of a “noble lie” for protecting the faiths of those who may be led astray by historical criticism? The problem with past historical criticism lay in misunderstanding the historical context and reading too much modernist thought into the project. The solution is to correct the flaw, not to take an equally erroneous alternative path. No, it’s not some sort of “noble lie”; that would be rather at odds with trying to stick with what’s true. The “flaw” you mention runs through the whole of HC, along multiple lines. There is no possible repair; HC is a dead end. GH, used properly, allows the use of the same sorts of tools as HC (historical, literary, etc., etc. ), but sets fairly hard and fast bounds on how far things can be taken, especially when used by those reading along with the Church (something most HC rules out of order, which is also much of the problem with it). This won’t be a satisfying answer for you, I’m sure, but coming from a body that dipped its toe (well, a whole leg) in HC and then pulled back, we did so for a reason and because we saw where it would (and did) lead for those who stayed with it. Reading along with the church is ruled out of order by HC? Walker, where did you learn about HC? Was it at an inerrantist, conservative school? As for your own church’s experience, i am sorry it was so sour, but it is not a good idea to project your limited experience on others. I know many vibrant Christians for whom HC is intellectually liberating and spiritually beneficial. Peter, I wondered if you had any intention to continue the conversation? Leithart’s new response article provides ample opportunities for engaging (from a more progressive view) one of the most overarching theological issues, namely, what it means for Christianity to be an historical faith. Though he does seem to assume that any demythologizing whatsoever automatically requires a wholesale acceptance of dialectical theology. Yes, I plan to follow up. In the meantime, I recently read The Bible Tells Me So and Ehrman’s Jesus Interrupted. Now I just need to find a group who is equally willing to study and discuss. Can anyone recommend any online venues? Uh, the blog by that Paul Enns guy? No offense. I can’t remember my children’s names. FYI, HarperOne has an online small groups study guide for the book. Welcome to the fold Annie. Some of us are less formal and Pete seems to let us hang around. Unfortunately he has to put some “gate-keeping” in so things can be a bit slow but don’t let that put you off. I’m not sure who Paul Enns is, but I’ve been enjoying Peter’s blog a great deal. 🙂 I find the blog itself and most of the responses to be quite academic in nature, which is exactly what it should be for an author like Enns. I am also hoping to find a discussion forum where academics, clergy, and laypeople alike are highly participatory and respectful of views that may be challenging to the conservative church at large. I found Leithart’s response article disingenuous. That’s an excellent point, although it’s much harder to parody careful and tentative usage of historical data, I guess. So, that’s the intentionally disingenuous part. He tries to pass this off as if that’s what he’s been trying to say all along, and it just isn’t. The unintentionally disingenuous part is the freightload of a priori assumptions he brings to Scripture that come from outside of it. He says point blank he can’t answer and resolve all the difficulties and apparent contradictions, but instead of trying out answers that can, he prays confident that God has provided him a trustworthy Bible. I’m all for praying and trusting the Bible, but Leithart here is clinging to the assumption that a reading of Adam that isn’t pure, literal history -cannot- be the right one, so he keeps praying the right answer comes along. For all the talk about Peter Enns going too far with historical data, Leithart makes an ultimate epistemic commitment to -no data at all-. It’s not like we are discovering new historical data proving that everyone in the first century read Genesis as a transcript of Fox News. The data is suggesting that biblical history is a lot more open-ended than we’re prone to think. I also have a radical trust in God. I trust that He, by the power of the indwelling Spirit, will keep his seeking and pursuing church moving in the overall right direction even if they bounce off a few walls to get there. I feel like that sort of trust holds more hope for progress and sanctification than trusting that God will reveal I was right about everything the whole time. I’m struck by the tendency to dictate to the Bible what it ought to be as opposed to accepting it for what it is. The Bible does not say it should be interpreted literally everywhere. Nor does it say it is without error. Even if it did say it was without error, what if that statement were in error? The only way to maintain the Bible has to be historiographically literal everywhere is to declare it by fiat. It’s an assumption one has to make prior to coming to Scripture. By assuming the Bible has to conform to certain characteristics, it automatically rules out all kinds of hypotheses and questions that could be very helpful in understanding the actual Bible that we have. You could counter that a trustworthy God would not give His people a Bible that was not literal history, but who are you to decide that? The Bible we have is the Bible God gave us. If it turns out that some of the history isn’t history, we have to deal with that, not insist that the history has to be history because that is our expectation of what the Bible has to be or what God has to do. God uses crooked sticks, fallible mechanisms, and mixed results all the time to advance His purposes. It may seem to -you- that a trustworthy God would only deliver a product to His people that is historiographically literal, but so what? We have to deal with the actual God and what He actually does. What if a trustworthy God delivered a Bible that wasn’t inerrant in the traditional fundy sense of the word? What if He gave us a Bible that accomplishes its intended purpose without having to be an omnibus of correspondence theories of truth and meaning? If someone believes the Adam story is literal history, I’m fine with that. I don’t agree, but I’m fine with that. If someone believes that the Adam story being literal history is the only way to have a trustworthy Bible and a trustworthy God, that smacks of idolatry. Sometimes I have the bias that if a person has a wide enough truth filter as to let a historical Adam pass through, nearly anything could pass through. I assume that trying to have a rational conversation about anything could hit bizarre barriers at any point. I’m a bit surprised First Things would publish an article this one sided–perhaps for the sake of debate. They are typically thoughtful and thought provoking when discussing the relation of faith/revelation and modern science/historical criticism. Re Leithart’s response. Well, at one level it boils down to ‘you can’t say things like that ‘till I’m ready.’ It reserves the right, claims by faith the need, to question/ignore the reality of awkward scholarly findings indefinitely. Can we presume then, that less awkward but just as real scholarly findings will also be put on the shelf? We really can’t trust scholarship to support our claims if we can’t trust it to challenge them. Again, there is no real engagement. There is also no tangible recognition that the current literalist way of approaching Scripture, or the reigning conservative hermeneutic are in any way open to change. Theoretically, yes, in reality, not so much. Looking forward to Pete’s response. Any chance of engagement on any real issue where the offensive data/conclusions are air tight and yet ignored? Any chance of hearing a convincing argument as to how/why we should go about continuing to justify ignoring such data/conclusions? I can see conservatives bristling at Pete’s style (don’t change it Pete! ), but if Leithart even has trouble with someone as careful and sensitive to conservative’s delicate spots as Walton, well, I’m stumped. I got so trolled by Leithart’s original article in “First Things”. I fell for it. My contribution to this thread is that Leithart wrote neither parody nor satire- as Enn’s gently suggests. Leithart was trolling. It is a relief to have found and read Enn’s response. I look forward to the next response. In particular, I want to hear more about the slippery slope argument. I know you think it is the wrong question but it is common way to frame one’s understanding of the bible. If I believe the Old Testament contains mythical qualities, political propaganda, or legends, how does this affect my beliefs about the New Testament and Jesus. If you don’t answer questions about the slippery slope, can you address how to ask the right question in greater detail? For me, the slippery slope argument in any context is primarily an appeal to fear. It’s another, more socially acceptable form of the argument that, “P can’t be true, because if P is true, then that would mean Q, and we don’t like Q.” It’s basically saying that something is false because the ramifications are unattractive. If historical criticism puts us on a “slippery slope” to liberalism or atheism, that says nothing to its truth value. Things can be true and dangerous. Things can be false and totally safe. As to how changing our view of early Genesis doesn’t necessarily change our view of, say, Matthew, it’s all a matter of what the data and logic indicates. Do we have any historical data that would indicate that the Gospels are the same genre as primeval Near Eastern myth? How were the Gospels viewed by the authors and the audience? How did they impact the worship and practices of the recipients? What role do the Gospels play in shaping the identity of the community producing and affirming them? Are the answers to these questions exactly the same as the answers to those questions regarding Genesis 1-3? This is one of the problems with Leithart’s take on the matter, at least in the parody. Historical criticism does not prove that the Bible is mythical or that any text is mythical. It gives us information that allows us to come to the Bible and try to understand a particular book or text on its own terms in its own environment. Paul makes an allegory out of Sarah and Hagar in Galatians. Does that mean everything Paul wrote is an allegory? Well, of course not. That does not logically follow. But the data clearly indicates that, in that passage, Paul is being allegorical. That same data says nothing about other passages. The book of Revelation – obviously highly symbolic with little to no literalism about it. We have other Jewish apocalypses that help us get our arms around what’s going on in Revelation. Does that mean that James is highly symbolic? Well, no. What we know about Jewish apocalypse has nothing to do with how we understand James. I think what -is- a valid point to draw from Leithart’s parody is, if Genesis 1-3 are basically mythical, then is the whole Bible -potentially- mythical? Yes, yes it is potentially all mythical. It is potentially all allegorical. It is theoretically possible that nothing in the Bible ever happened in any sense as described. I don’t believe the data supports those contentions, but they are good questions to bring to any book or any passage, even if we expect those questions will be answered in the negative. We should be allowing the books of the Bible to show us what they are, not decide up front what they have to be. The problem with the slippery slope argument is that the slippery slope only exists in the mind of the person who posits it. It does not actually exist. At the very best it describes a situation which may happen for a limited few. It really is a persuasive rhetorical device not based in reality, which sums up most of conservative Evangelical apologetic. As I mentioned elsewhere, engagement with the mad is not a bad thing, believing they may be right oversteps the mark! I suppose, unfortunately that many of my posts exhibit a frustrated level of irony. Mainly fuelled by the fact that it is Impossible to to really engage with “conservative Evangelical thought” in any real way. Whilst the conservatives, contrarary to the biblical instruction to not separate the Goats from the Sheep, continue to do so and thereby place most of the sheep outside the pen and possibly concentrate goats within it I think we really do need to stop trying to engage with them. Why discuss something with someone who is ideologically conditioned against the principle of shifting their viewpoint? I have never found it possible to really discuss the obvious issues with inerrantists as they cannot move beyond their self set limits. We need to step aside from inerrantism, or more precisely, American Christians, need to step aside from it. Recognise that it is a narrow cult (admittedly a broad definition of cult), and offer sanctuary to those who are trapped by it. Engaging in discussion only seems to legitimise the heretical views of the bibliologists and ultimately gets nowhere. Really, they are the “Pharisees” in biblical terms. What was Jesus’ response to them. Shouldn’t ours be the same? I’m not saying we can’t discuss things on individual terms as those who recognise the flaws in the doctrine are probably already able to move on. But in the greater sphere, the apologists have too much to lose to really accept the truth. Conservative Evangelicalism is still totally stuck in the Wilberforce Huxley debate, it cannot move on. The many good and Godly Christians within it live by the Spirit despite the doctrines, not because of them. I agree with the basic principles, but I’m not quite as despondent. I used to be one of those people, and as Christendom collapses in the West and raw fundamentalism becomes less and less sustainable as a community of faith, I think we’ll see a different church slowly emerge. A good starting point would have been Christians just being nice. I agree and disagree. While I share a hope of inevitable emergence of something much better, I’m not convinced that the church or Christianity or really all that much in the name of Jesus of Nazareth will participate in the renewal of the world through a different and cruciform way of being. Rather than a different church, I think it could be an all together different faith. I would love to spend less time in the Slough of Despond, I’m not sure if my Scottish genetics respond well to optimism! A “history or hell” approach to life and faith seems extreme. Scripture records God’s mighty acts of redemption in space and time–yes, that’s what we believe. But reality is not simple and God’s interactions with humans defy nearly all comprehension. The litmus test of historicity (especially as defined today) is not final arbiter of faith and practice. Still, we should hesitate to peal off biblical characters and events and declare them mythical, though Genesis 1-11 and other portions are of that genre. Remember, at the other end of Scripture there is resurrection, and it too is problematic for the historian. Unwise to invoke myth and legend but also unwise to say history or hell. Best to demonstrate the truths of original and new creation by those human attitudes and actions in space and time that mirror God’s. I’m not trying to throw a wet blanket on historical study, just a caution that its methods and the certitude it promises tend to come and go. 1. No need to caution hesitation because no one has rushed into seeing certain biblical episodes as myth, legend, etc. It’s been a long time in coming. 2. I certainly see the logic of bringing up Jesus and the resurrection, though writing about Urgeschichete in the monarchic and postexilic periods and writing about Jesus within half a century is not a simple comparison to make. vacuous example of the slippery slope argument is short-sighted. our planet; 2) the stories about Abraham and his children in the book of Genesis, as they now stand, are products of the exile or, more likely, post-exilic era–this is shown, not least, in the literary motif of exile and return as a representation of ideal “Jewishness”; 3) the reason why there are stories in the gospels about Jesus walking on the water is because an early Christian reader of Scripture found Job 9:8 and concluded, Well, I guess he must have walked on water! (James Kugel for one has demonstrated the Jewish ability to weave haggadic stories out of textual peculiarities). is real, and really slippery. edifice by plugging up the holes only makes the crisis more obvious. Re: myth, though,. it is most certainly not disingenuous because I do know what Leithart means. it is a common ploy to say, “Well if that’s myth, then everything is myth.” That is what he is doing and the problems begin when we say “what’s good for the Adam story has to hold for the whole, as that ignore issues of genre and setting. Lying behind that is the notion that God’s word would only be one type of thing and not “play games” with history. Paradigm shift is a good point, though it does not rule out the slippery slope argument. You may not have experienced this, but to be sure, fundamentalists and evangelicals use this argument as a first line of defense against h-c. Thank you for your response, Prof. Enns. I do feel the the intuitions of Leithart are sound to this extent: one cannot be consistent if one carves out a few non-essential areas of the Bible on which to practice historical critical methodologies, while leaving everything else in tact. It seems to me what many of those who advocate H-C assume is that we can engage with Holy Scripture in the same way we would any other natural text. But that is a category mistake because our engagement with Holy Scripture is not like reading a novel or performing text criticism on the Illiad. The assumption in most corners of the academy is that the bible is just like any other text. John Webster has made this point and I think it is a helpful one. We must first understand what sort of text Scripture is before engaging its contents. Its inspiration and its purposes in God’s redemptive economy are necessary conditions for understanding how God uses it to redeem, not to mention the Holy Spirit and its role in illumination. These are theological suppositions that many people I have talked with who are devoutly committed to H-C method won’t allow or dismiss as theological whitewashing but I think this is a fundamental distinction. Its a hermeneutical point but also a theological one. Below a few people, including Mr Enns, made a comment about H-C providing spiritual liberation. Maybe so. But after finishing a PhD in a top tier Divinity School and talking classes and interacting with many students across the spectrum in both evangelical and non-evangelical contexts my impression is that H-C by and large is not spiritually liberating. I watched people lose their faith, buy into liberal theology wholesale, and generally jettison most/many aspects of orthodox doctrine but rarely have I seen it produce positive spiritual effects like increasing one’s love for Jesus and the gospel. Many of these people are still my friends and I love them dearly but they have either gone completely liberal or agnostic. You may say that is a result of their fundamentalism/evangelical understanding of scripture, and there is probably some truth to the naiveté that many evangelicals have coming into some these programs where they just get eaten up by the faculty. I have seen it happen to many an evangelical. But the people on this blog must also admit that there can a big down side to the kind of liberation you imagine you are championing. The “acid bath” that Mr Enns often cites approvingly also dissolves many peoples faith. You may say so be it. I am not as comfortable with that response and I still believe Jesus’ admonition that you shall know them by their fruits is pertinent to these discussions. Despite the good intentions that many may have the results can be spiritually ruinous. Are you then saying that H-C is useless and that it would have been best had it never happened? Do you see value in it? We have to remember, though, that H-C is not an “it”!! It is various methods applied for different purposes, the instigation of which comes from the text itself–why does this text contradict that? etc. And, illumination of the spirit and the subject matter, etc., do not erase those questions. You are also thinking in terms of “orthodox” and “liberal” camps, and that moving to the latter = a loss of faith. That is not true. It can happen but it simply isn’t a given. I know people who’s faith was saved because they were able to wrap their minds around the contradictory histories in DTR and CHR. They had a way forward rather than the either/or of the previous “orthodox”paradigm. And as for fruits, well…I’ve seen plenty of so-called “orthodox” people in my life who are simply heinous. The issue is more complicated, I think, that you are presenting here, DDS. I respect your experience and I don’t discount it, but I don’t think it can be universalized. Yes, of course H-C has value. Like you said, its not a monolith and I see different methods have differing levels of value. Its also important to distinguish H-C methods as applied to OT vs. NT which are often quite different. Let me put it like this: there is H-C method and there is h-c method. In one instance it functions more like a comprehensive explanation and in the other more as the tool and not the arbiter or truth. There is a whole spectrum in between. I don’t think Christians can be agnostic on this point. If its the former, I think you are headed down the wrong track. I believe one can hold to the latter position in different ways, either wide-eyed/sober about the sorts of critical questions that arise or naively denying any problems at all. It is not a magical solution and still presents challenges but they are the kind of challenges Christians should be wrestling with. It seems to me many on this site might hold to H-C in the more comprehensive sense and that seems to be a theologically tenuous position. This is where I feel like many folks/scholars in biblical studies spend too much time reading ANE sources and not enough theology. It comes across in a number of ways but on this basic hermeneutical/theological point its very pronounced. I agree that text presents us with “problems” but its how we understand those problems from the get go that will shape our scholarship. Many see “problems” as evidence for a natural human text, others a sign of its mystery and challenge, still others that there aren’t any problems. i am not coming down on a side but just saying there are complicated theological questions we need to answer first before we open this text. My point is not to explain away problems but to place them within a particular understanding of God’s redemptive work and the purpose of Scripture (big S) within that economy. Would folks here recognize its importance? Problems don’t disappear with Holy Spirit or biblical theology etc., but they are understood in a different light that can make all the difference in the world. On the “orthodox” and “liberal” camps I’ll agree and disagree. I have scholars are walking some tough lines and the terms are often unhelpful. That said, I do think there i a significant difference between those who hold to scripture authoritatively (however one justifies it) and those who do not. I am not saying the former are angels or saints. Many are heinous people. I am not saying liberals are not wicked and evangelicals are holy. No! I am making a point about what position is more hospitable to orthodox faith, either Protestant or Catholic. Though liberals claim tolerance I would argue they are less hospitable to someone who proclaims Jesus is the Messiah who died and rose from the dead. I have plenty of theological liberals that I admire and respect. I was trained in patristics by a very theologically liberal Catholic woman who I respect immensely. But I do hold to a evangelical Protestant soteriology that my mentor does not. She would probably be a universalist of some sort. I think that matters, and inflects a scholars work and teaching. I think the issue is complicated and I don’t want to come off as reductive, but I do think my perspective resonates with many other scholars at other schools that I know. Its complicated but its not ambiguous. Its not only my experiences but experiences from many friends at schools across the US. DDS, I mentioned elsewhere that God and to a much lesser extent, scripture, have nothing to fear from the truth. Historical criticism or any other approach which tries to eliminate a particular bias, if done well, ought not to create any real problems. I agree that the motives of the practitioners will probably slant, possibly quite decisively any conclusions. But it’s not necessarily the method that’s the issue, but the practitioner. If you start from the point of “there definitely is a God who is…..” or “There definitely isn’t a God who is……” you really aren’t going to get very far. The starting point really needs to be “There may or may not be a God, but if you’re there show me”. I do feel that you seem to be a bit more in the former camp and I think the presupposition will effect any outcome, in a similar way to those in the opposite camp. What I must question is whether or not those who have fallen away in your experience, have fallen away from God, or fallen away from a doctrinal milieu which may or may not have much to do with God? Thanks for your comment. I feel like we are speaking past one another. So be it. I think biblical studies people by and large do not have a very complex view of philosophy or theology. H-C methods are a hermeneutic that gives one angle and not THE angle on truth or Truth. The method does not deliver truth. It delivers up a slice of data, “facts”, observations that I find very helpful but it is not sufficient unto itself. One then must interpret evidence and with history we never get beyond weighing probabilities. This is the nature of inductive knowledge. Its helpful but limited. But theology does not confess merely a God whom we can probably reconstruct from given data but the God who acts and reveals himself in history, through His Spirit, and by faith. Reason and reconstruction can’t get you there. They are necessary but not sufficient. So when I say you must start from the position of inspiration I mean we cannot merely read the bible as a regular text because it is not. That is a category mistake. H-C method cannot tell you that. God uses this text to illuminate. Sure, one can study and read the text all they want, regardless of faith, but for it to serve its purpose as the revelation of God’s works to humankind then we must understand that truth in order for us to read it rightly. Here is where an account of the church is necessary and the theological tradition. If we take an individualistic approach to this text and ignore the fact that there is a community that bears witness to the God revealed in the text and a long history of theological formulation that attempts to speak faithfully about the God revealed in the Scripture by the Spirit then, I submit, you will not understand it properly. This is where contemporary academic scholarship falls woefully short. I have sat through many a biblical studies/exegesis course at liberal seminaries or in university settings and witnessed the “acid bath” being applied to the text. While there can be profit and insight in such contexts, I deny that we shall understand this text well if we imagine this is the place where the truth/Truth shall be delivered. I don’t want to downplay the value and importance of H-C but I must push back on what I feel like are really shallow views of theology and philosophy that are often promulgated in biblical studies circles. Uh, what? DDS, I know where you’re coming from, but you may need to get out more. Not sure where you did your work, but I see a lack of acknowledging “complexity” in your comments here about the relationship between historical criticism, faith, and scripture. As I said in an earlier comment, your experiences are your own, but plowing over the issue as you do here discounts the experiences of many others. Feel free to express your own experiences as they are, but drawing (rather non-complex) philosophical and theological maxims from your experiences isn’t going to gain a lot of traction. Many, including myself, are not simpletons but have experiences diametrically opposed to yours. I’ll take your comments to heart Pete. I do feel like I am speaking from my own experiences, though. When I start sentences “I think”, “I feel”, and speak of my own experiences and not of others. I do have convictions on things that I think are theologically sound and so I express them as such, as do other folks on this thread. That seems to be the way conversations work. When I speak of my experiences with H-C methods in these posts I have always stated my experiences which have by and large been in liberal and secular university contexts. Though I am an evangelical I by no means consider myself an insider in the evangelical world, but I don’t make blanket generalizations about that world nor its pathologies. I went back re-read my posts just to make sure I wasn’t speaking for others and I thought I owned my experiences quite well, but I am obviously a bit biased 🙂 Though it seems to me that all we have is our own experiences to go by. Also, it seems like many other folks on this thread are doing the same thing. Why are calling me out when I do it? Focusing on the limitation of my own experiences instead of addressing the merits of my argument doesn’t seem super helpful for the conversation. Of course I cannot give you a full biblical hermeneutic treatise in a blog post and neither do I expect others to do the same, so saying my views are not “complex” seems to be expecting too much from this conversational format. How do you know the Bible is a special text? How do you know its not? (To be super pretentious and answer a question with a question) It strikes me that we must start from somewhere. I don’t know that it’s not, but you don’t go around believing things just because there’s no way to disprove them. You’ve said several times that a person must begin with the assumption that the Bible is a special book that serves a special purpose, but where does that assumption come from? Why is it a category mistake to analyze it like any other book? How is it that I have come to believe that the bible, unlike Plato’s Republic or a dime store novel, is God’s revelation? I find it utterly unbelievable that I should believe that about this text, this collection of various genres of literature! Yet I do believe it has come from God in a unique, authoritative, and purposeful way. I don’t believe that about The Republic. How did I come to believe that? In the same way that Jesus tells Peter upon his profession of Jesus as Messiah that this has not been revealed to you by man but from God. People outside myself have proclaimed this truth to me, I have read the text myself, which are all necessary and good, but it wasn’t until God himself had revealed this truth to me that I was able to see the true nature of this word, that within this compilation of writings God is revealed to me. I may have read the text first and analyzed it but it wasn’t until the divine initiative that I was truly able to understand. This is what Christians have labeled illumination. Not the mere notional reading of words but divine intervention to illuminate the mind of a truth not graspable otherwise. In light of this illumination I now understand this text in a different way. My eyes have been opened for me by another Being that display to me the redemptive purposes of this text, though, I would be quick to add, the intellect is still very much involved in the process, so our minds are not merely being over-ridden or zapped. Are there other books that function in the same way as the bible? I would argue no. There are certain novels that I love, certain philosophers and theologians that inspire me, but none possesses the place or has the function that Holy Scripture does within God’s redemptive purposes. I have come to believe this over time, and I believe that Scripture functioned this way even before I knew it to be the case. To believe this revelation as true I had to grant it a status that I hadn’t to any other text before. Just because we don’t have the categories to explain what is happening and why doesn’t mean its not happening. To come full circle, that is , in part, why I believe to read Scripture as just another text is a category mistake. All right. I have a Mormon friend who says something similar about the Book of Mormon. Is it also a category mistake for me to read the Book of Mormon like I would any other book of its time? But mostly, I’m curious about the a priori nature of your assumptions. They don’t come from the Bible, but from direct revelation. How do you know that’s what’s going on? How do you know your assumptions are from divine revelation from God directly to you? In addition, if these assumptions are true, how does that practically change how we interpret the writings? If a scholar reads Matthew who has not received the divine revelation you have, and you also read Matthew, what new interpretive rules would you be applying to the text that the scholar would not? You may be right that we are “talking past each other”. Plus I find it difficult often to quite get what someone is saying through internet posts. Additionally I am not in academic circles. I think Historical Criticism is a tool which can be beneficial, like many others, in understanding what God is like and helping in our faith, If taken as a neutral tool. The results one will get from it are probably driven by the position of the user. The point I was making was about those f”alling from faith” and what is really happening there. From my experience Conservative Evangelicals often use the term “Liberal” as a shorthand for “non-believer, going-to-hell, uses-religious-language”, rather than recognising that “liberal christian” really covers a whole gamut of views and experiences. There are many thoughtful God loving people who may call themselves liberal as well as many who may well be far from him. In the same way “Evangelical” covers a broad gamut of people who are similarly close to or extremely far from God. For those who hold a very strong position on inerrancy and feel this is a core principle to be held to be saved, then they will see anyone who shifts from this position to be “lost” or sliding down the famous slope to being lost. For many who have realised that the scriptures are not actually quite as cut and dried as this position holds, then they will become “liberated” although this may involve distress and confusion. This can then be followed by a greater and deeper knowledge of God and a more productive redeemed life. Of course there are also those who will use H-C and the like as an excuse maybe to escape from God and try to leave others astray. 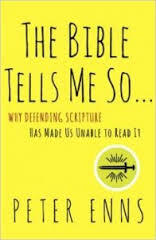 My feeling is that the major problem, in America at least, is that an incorrect position on the nature of scripture is held by too many in the inerrantist camp, the subtext being that if scripture is not like this then there is no God, leading to many abandoning God when they realise scripture is not actually what it has been held to be. It is not the H-C/h-c which is causing the problem, it is the religious community’s problem for holding an untenable position highlighted by the H/h-C/c. It may well be that Historical Criticism is just this, or last years fad and something else will come along to do the same thing. Your last point is very good, I personally think that there are too many shallow views held across the board regarding theology and philosophy, and I’m not quite sure how shallow mine are! I actually think reading too much theology is what got the church into its present predicament, which is clinging to a story that is only vaguely biblical at points, and the alleged “Reformed” churches are just as bad as the independent fundamentalist Arminians. The idea that we have to start with a given theological framework before we do our inquiry into the Bible guarantees that growth and change will virtually never happen. I come from a tradition where the Westminster Confession of Faith is kind of a big deal, and it is the biggest impediment to any kind of actual doctrinal sanctification or even deepening of biblical understanding that we ever devised. Further, what many “conservatives” characterize as falling away or falling into liberalism is nothing more than someone adopting a different paradigm for understanding the Bible than the conservative one. That’s not a bad thing, assuming that our identity in Christ is not governed by having the one, true understanding of the Bible. Pete: Where can I find your thoughts re: Borg + Crossan et al., and the so-called new consensus on historic Jesus? Recommendation? Cheers. Don’t you think it’s problematic at all that, from your perspective, we have to begin with the assumption that the Bible is inspired -and- it exists for some purpose in “God’s redemptive economy” before we even open the covers? On what basis would you possibly establish those things prior to an examination of the contents of Scripture? From my position, jettisoning many aspects of orthodox doctrine is not a bad thing. It really depends on how valid that orthodox doctrine has been and I for one question the validity of much of, particularly American Evangelical orthodoxy. I will admit that yes, people can abandon God, or at least appear as if they do by moving into an “anything/everything goes” way of thought. The problem itself though is that the driver for people to go is not just the allure of abandonment to hedonism or whatever, but the bankruptcy of the thing which is left. Evangelicalism in the US is to all extents and purposes derelict, it has abandoned its good roots in physical action and has drawn its wagons around an outdated intellectual argument (admittedly a poor generalisation). Although my generalisation does not really describe the experience and actions of many on the ground, it is not far off the publicly projected and commonly articulated “rules of the game” for the Evangelical church. The “reformed church” needs massive and far reaching reformation, it neither recognises this nor wishes to do it. Whilst it remains in denial it will continue to lose people, some will leave God entirely, some will find God in far better ways. For many years I have refused to class myself as “Evangelical”, not that the core of what this should mean is bad, but that which stands in its place and shouts the loudest is not really of the Evangel. I wish there were a strong way than “like” to agree with this. This captures my own thoughts exactly. Thanks Phil, I must admit I thought I was going a bit too far in “rant” mode. I may not be the best yardstick for whether or not you are in rant mode, but I do see things precisely the same way, and it is frustrating. The sheer amount of inertia. It’s like yelling into a hurricane. I’m in the process of praying about and thinking of things to actually do besides the questionably productive task of commenting on blogs. I’d be interested to hear your thoughts if you or a group of like-minded people you’re a part of are working through that. It might be interesting to see what comes of Pete’s new Blog re like minded people. I’m not sure I do much productive apart from commenting myself. I don’t know if it’s just venting or maybe useful or helpful. I am lucky enough to be in a fairly broad church, so in that context I don’t need to do much. However there is still the angst of feeling somewhat bruised due to many years in Conservative Evangelicalism and Pentacostalism before that. Really there seems little hope or value trying to “discuss” with inerrantists, but I feel great sympathy for those with real questions who feel trapped within something which can’t accept those questions. As I mentioned at the beginning, maybe being involved in Pete’s new blog, we can be of some value and help to others. Ross, that has always been my intention. I’m not a lone ranger. I know I’m not. Never wanted to be. I wait for others–both normal and abnormal–to come along side. Appreciate your comment here. I am not unsympathetic to your concern for the faith of those who may feel broadsided by H-C’s findings. But rather than cover the truth of those findings, I believe it would be better to use the truth to increase faith–which it has for me in spades. As Peter wrote at one time, I’d rather be post-critical and wounded than pre-critical and naive. Being post-critical for this former conservative-evangelical has been challenging, rewarding, scary, and hints at how big God really is. Yes, for those who don’t travel in these waters we must be sensitive to their needs and go slowly in introducing changes. But I think that can be done well. And regards ANE readings versus reading more theology, why hide from something that may shed light on the biblical data, and instead double down on the thoughts of someone’s already-made-up mind? The former has proven for me expansive, while the latter turned my faith into wreckage for a couple of decades. If one loses ones faith by being exposed to H-C, it seems right to wonder what that faith was in.